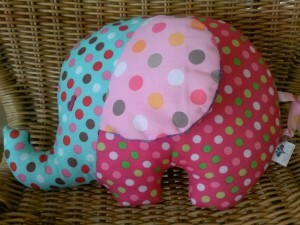 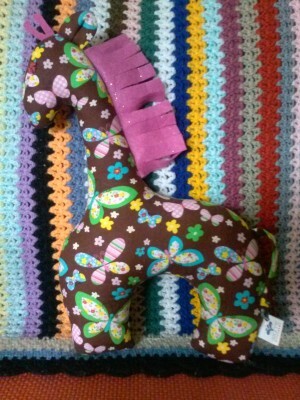 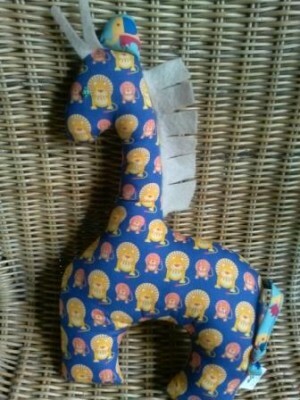 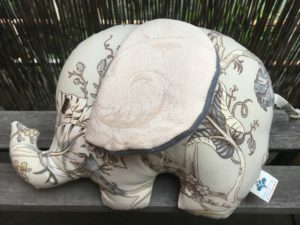 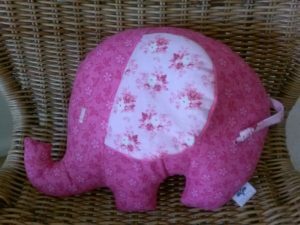 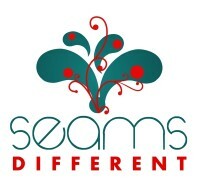 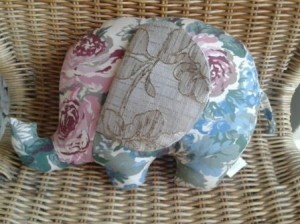 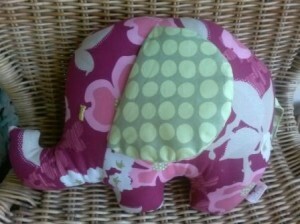 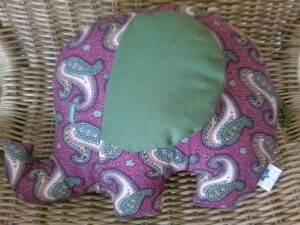 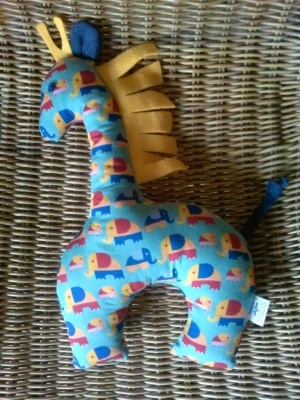 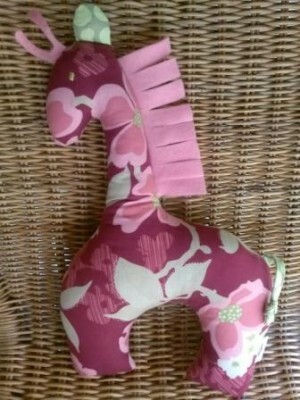 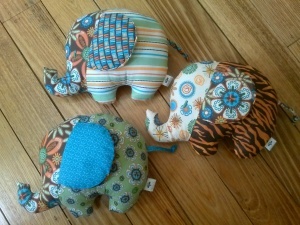 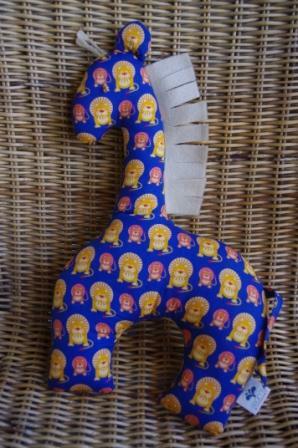 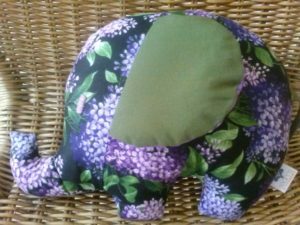 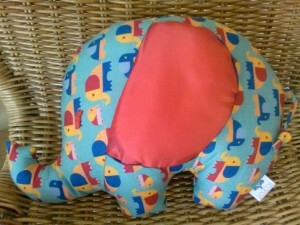 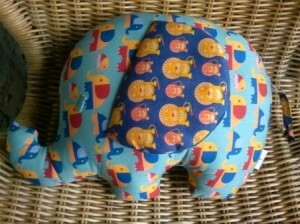 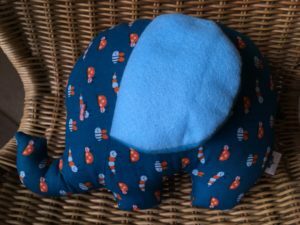 Paisley elephant for a new baby – boy or girl? 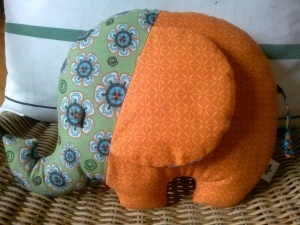 A sweet orange elephant made with beautiful recycled cotton fabric I found a year ago in a trash and treasure shop in Newtown, Sydney. 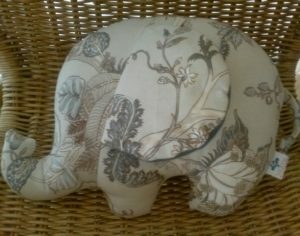 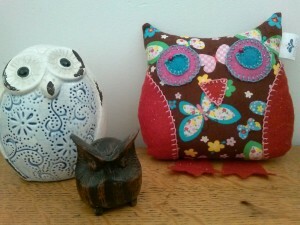 The ears are home deco fabric found in a Melbourne opportunity shop. 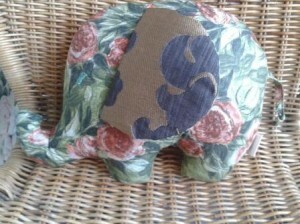 Just love him. 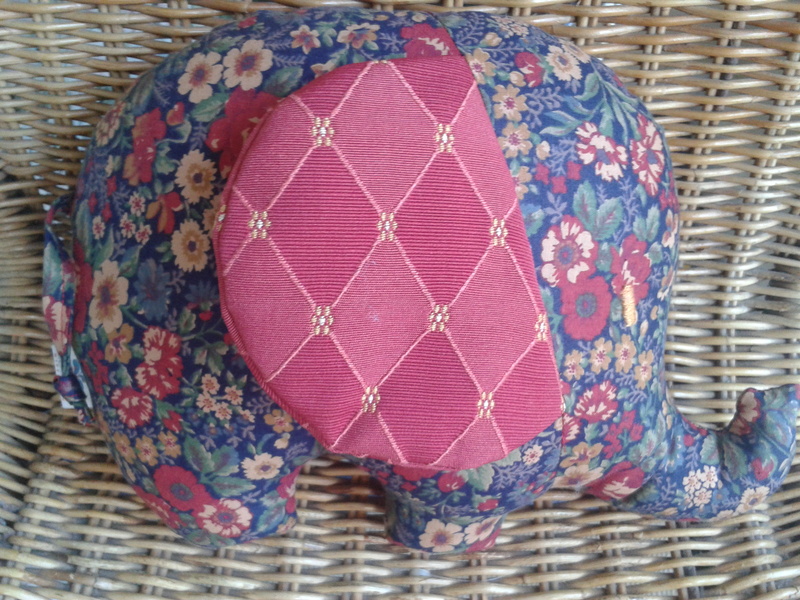 A bright, bold elephant made of beautiful floral fabric found on the Retro Age Vintage Fabrics website with the ears made from a red geometric upholstery fabric found in a Melbourne opportunity shop.